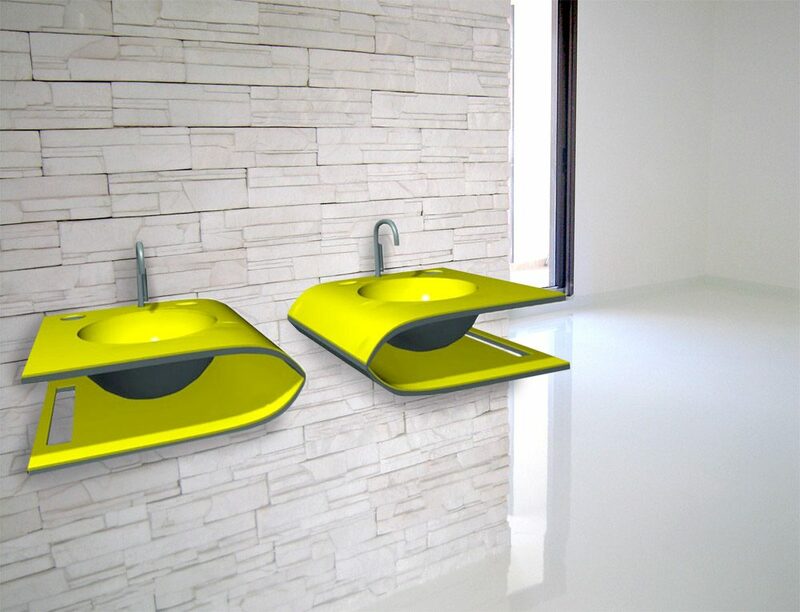 Double is a sink in yellow corian that includes in the structure a soapdish, a toothbrush holder, and a towel rack. 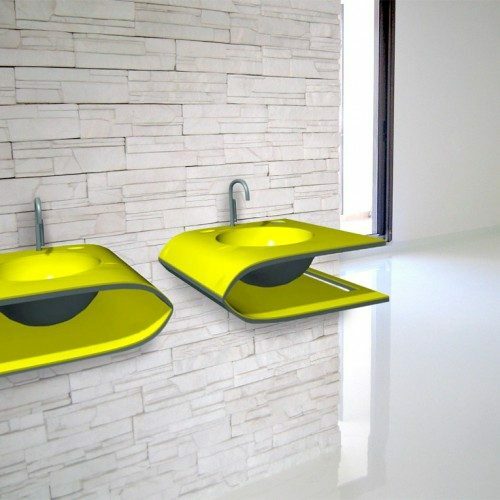 It is the synthesis of an older Japanese aesthetic with that of a more modern sensibility. Its shape recalls the eyes of japanese manga.